↑ Barnard, Harry (2005) . 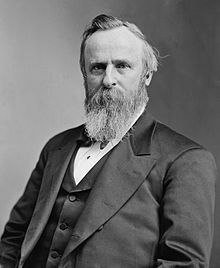 Rutherford Hayes and his America. Newtown, Connecticut: American Political Biography Press. ISBN 978-0-945707-05-9.